Stimulate the senses with a hint of peppermint while this luxurious gentle cleanser effectively removes dirt, makeup and environmental toxins without drying out the skin or stripping it of its natural protective lipid barrier. 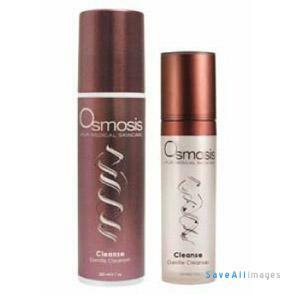 Cleanse is free of sodium lauryl sulfate; instead, Osmosis uses soothing, natural kiwi and kumquat derivatives to purify the skin. The end result is refreshed, hydrated and radiant skin.